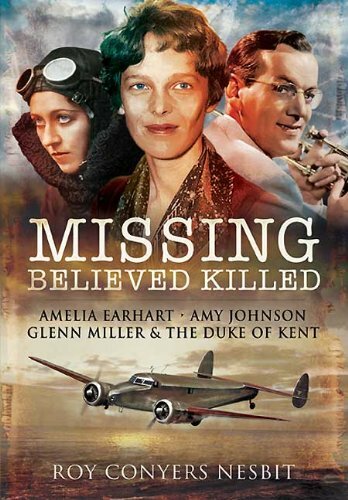 The uncertain fates of Amelia Earhart, Amy Johnson and Glenn Miller have fascinated readers and aviation historians ever since they disappeared. Even today, more than half a century after their final flights, what happened to them is still the subject of speculation, conspiracy theory and controversy. This has prompted Roy Conyers Nesbit to reinvestigate their stories and to write this perceptive, level-headed and gripping study. Using testimony from new witnesses and hitherto undisclosed public records, he seeks to explain why they were reported ‘missing: believed killed’. He describes why American aviatrix Amelia Earhart vanished in the Pacific on her round-the-world flight in 1937, what caused the death of Britain’s aviation heroine Amy Johnson over the Thames estuary in 1941, and what really killed band-leader Glenn Miller on his doomed flight to Paris in 1944. And he applies the same expert forensic eye to other tragic aerial mysteries of the period including the flying-boat crash that claimed the life of the Duke of Kent in Scotland in 1942. This classic study, issued here for the first time in paperback, will be fascinating reading for students of aviation history and for anyone who is intrigued by tales of flights into the unknown.